Demand for coffee and tea culture, lifestyle and beverages is growing fast. Café’s, coffee shops, hotels, restaurants and retailers are looking for the latest products, equipment and trends to meet growing demand. 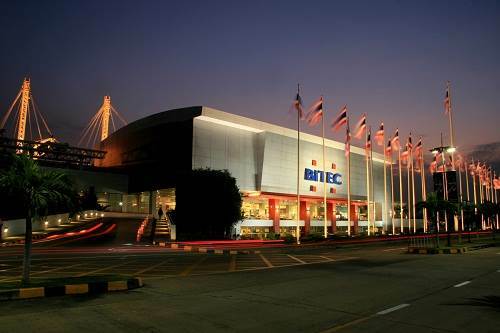 Coffee & Tea Culture 2015 includes professional coffee competitions and seminars organized by the Barista Association of Thailand (BAT) and BES, and supported by the ASEAN Coffee Federation (ACF). Now in its successful 15th edition Hospitality & Retail Technology 2015 presents the latest products and services ranging from in-room entertainment, POS to reservation systems. Wine & Spirits Thailand is the leading international trade exhibition for the wine and spirits industries. 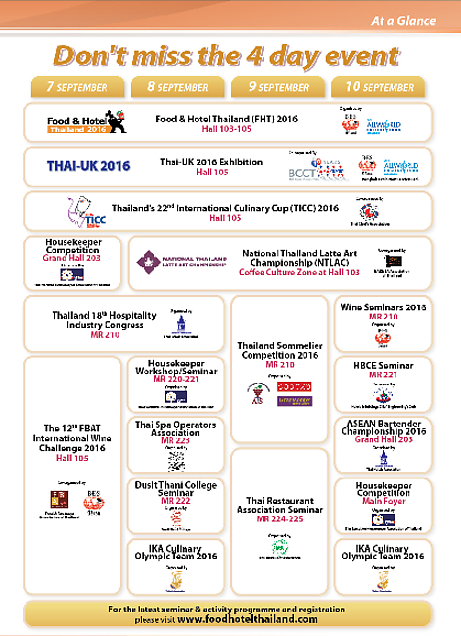 Featured alongside Wine & Spirits Thailand is the Food & Beverage Association of Thailand (FBAT) annual wine challenge, and professional wine seminars. The FBAT Wine Challenge is now in its 11th year and welcomes winemakers, importers and distributors to submit their finest selection for Thailand’s leading wine challenge. The 2nd AEC Culinary Challenge 2016 is ASEAN competition launching at FHT2016 And includes competitors from Cambodia, Indonesia, Malaysia, Myanmar, Philippines, Singapore, Thailand and Vietnam. And world class judges from Japan, Korea and Taiwan. The completion will run for 4 days and see competitors present traditional ASEAN food and dishes using new ingredients and chef skills that will inspire and educate. Please visit to see the best of ASEAN cuisine.